I have been Rector of the Shoreline Benefice since the end of 2007. 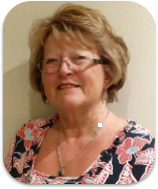 Originally from the Netherlands, I initially came to England as a primary teacher for Shell. I lived in Whitstable where I got to know the Anglican Church and benefitted from going to Evensong in Canterbury Cathedral. In 1994 I was baptised and confirmed an Anglican. Soon after I left for Oman where I went to worship in the Protestant Church of Oman, an interesting mix of people from all sorts of backgrounds. Back in the Netherlands I worshipped in St Mary’s, the Anglican Chapel on the Weldam Estate. It was there I started to train as a reader. Not long in I realised that my calling was as a priest. In 2002 I returned to England for my training at Ripon College Cuddesdon and was ordained in St Edmundsbury Cathedral in 2004. I had a fantastic curacy in East Bergholt and Brantham and was licensed to the benefice on 4th December 2007. I love life on the peninsula with its welcoming and friendly people and am pleased to say that Lotje, my dog, loves the rectory garden as well as the walks around here. The garden is an abundant source of pleasure and relaxation and of very tasty potatoes, rhubarb and loads of different vegs! Andrew was born in East London close to the site of the Olympic Stadium and is a lifelong West Ham supporter. Attended St Saviour church in Forest Gate from soon after birth until moving to Suffolk in 1988. 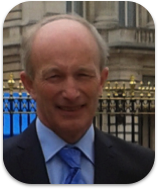 Andrew joined HM Customs & Excise working in Customs duty regimes and VAT for 42 years in London and Suffolk and retired in 2014. 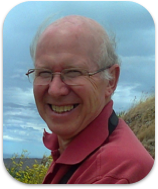 Andrew is married to Maureen and has a daughter, Jane, who currently lives in Australia. Has lived in Shotley since 1988 and has worshipped at St Mary's since that time. Studied to become a lay reader and was appointed in 1995. 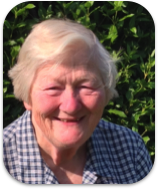 Interests include history (a member of the local history group), sport ( a member of the Shotley Bowls Club), long distance walking (participating and organising). I’m a Suffolk girl, always have been; coming to Pin Mill in 1966 and marrying Tony at St Andrew’s in 1968. Our son lives outside Ipswich and our daughter in Chelmondiston, we are blessed with 4 wonderful grandchildren. 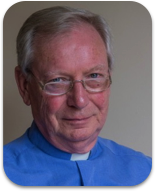 Since early 1970 I have been involved in Childrens’ work in the Diocese and locally on Shotley Peninsula and value working with other denominations in outreach to parents and children. Licensed as a Reader in 1992, my ministry includes taking the Bread and Wine to those unable to come to church and non-eucharistic worship of all kinds including Songs of Praise, funeral services and Primary School worship. 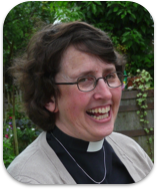 More recently, through the local Shotley Peninsula Branch, I have become involved in Mothers’ Union and serve as Faith and Policy Coordinator and Trustee for the Diocesan MU. Their motto is ‘CHRISTIAN CARE FOR FAMILIES’ and their outreach and influence is World-wide - 4.3 million members in 83 countries. I continue to be passionate about offering worship and social contact that encourages and promotes parents and children sharing and growing together in faith. I try to be a storyteller of the Gospel of Christ and long to share a Christian journey with other storytellers too. I have been privileged to be an elder at St. Andrew’s since 1980, during which time there have been two incumbents and a three year interregnum. These different periods have given me an opportunity to develop my ministry, mostly of a liturgical nature, and has brought me into close contact with a wonderful range of worshippers. I now assist the priest with worship on a Sunday, frequently lead intercessions, and occasionally take communion to the housebound. Having also been a churchwarden for 14 years my involvement with the maintenance of the church and its day to day activities has been considerable. However, as I am retired, I still find time to play golf (two or three times a week ! ), see the grandchildren and, with my long suffering wife, enjoy the countryside, traveling abroad, eating out (with the occasional glass of wine), and visits to the theatre. Other interests include photography, cryptic crosswords and stamp collecting. Having played cricket, badminton and squash when younger I have always been interested in most sports and still watch cricket, often visiting Lord’s or the Oval to see Test matches. When our son was young he and I were regulars at Portman Road to watch the football. Now I just follow from a distance, always looking to see how the Town have done.